It’s not as dangerous for the horse as it might sound. Kit doesn’t bring the plane in for a landing while Gene continues to control the horse or anything like that. 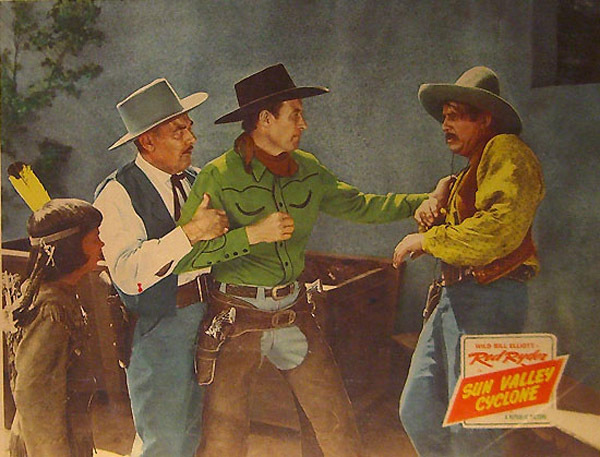 As soon as the lariat is around the stallion’s neck, Gene drops the rope, which has a spare tire attached to the other end. One more good ropin’ job, and that stallion ain’t goin’ nowhere fast, pardner. 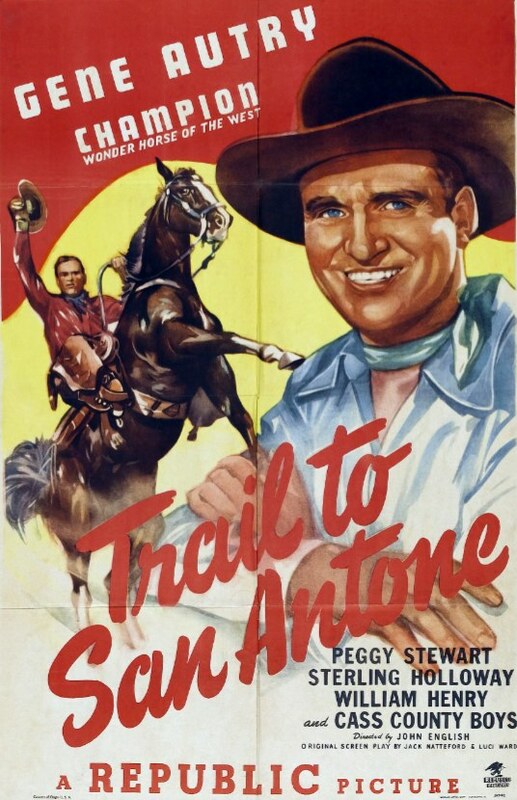 Trail to San Antone is solid entertainment for fans of Gene Autry. 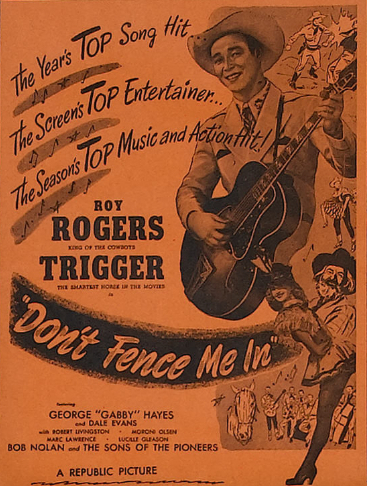 He’s backed up by the Cass County Boys (Fred S. Martin, Jerry Scoggins, and Bert Dodson), who do double duty as ranch hands and Autry’s back-up band. 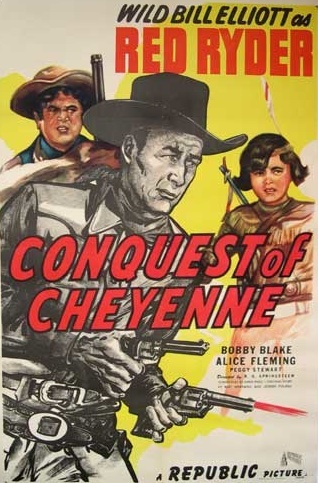 Dependable Republic Pictures heavy Tristram Coffin plays the bad guy, Cal Young, who’s attempting to derail the career of a young jockey named Ted Malloy (Johnny Duncan), whom Gene has taken under his wing. And the horrible comic relief is provided by the rubber-faced Sterling Holloway, as the cowardly and pencil-necked Droopy Stearns. 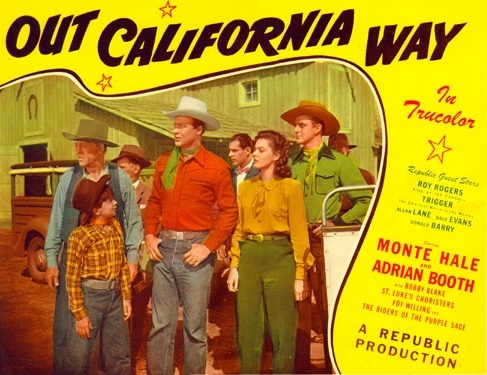 Posted in 1947, January 1947 and tagged Armand Schaefer, Bert Dodson, Cactus Mack, Champion, Charles Craft, Dorothy Vaughan, Edward Keane, Frankie Marvin, Fred S. Martin, Gene Autry, Jack Natteford, Jerry Scoggins, John Duncan, John English, Johnny Duncan, Joseph Dubin, Luci Ford, Musicals, Peggy Stewart, Ralph Peters, Republic Pictures, Sterling Holloway, The Cass County Boys, Trail to San Antone, Tristram Coffin, Westerns, William Bradford, William Henry. Bookmark the permalink.